In his first competitive appearance for Borussia Mönchengladbach since rejoining the Foals from Bayer 04 Leverkusen this summer, Christoph Kramer set up Julian Korb’s match-winning goal in Saturday's DFB Cup first-round tie against SV Drochtersen/Assel. Despite taking on a defensive role as a classic number six in a three-man midfield, Kramer was continuously able to contribute to Gladbach’s attack against the fourth-tier side, and his superb assist for Korb's 55th-minute strike was just reward for an influential display that helped earn the Foals a place in the hat for the second round. If Kramer can maintain that level of performance this season, his Official Fantasy Bundesliga price tag of 13 million will seem like nothing more than a snip. 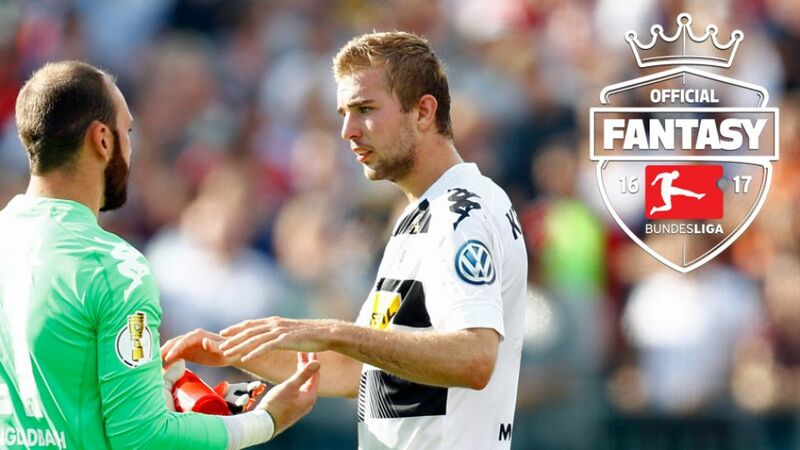 Sign up and sign Christoph Kramer for your Official Fantasy Bundesliga team now! After the match, Kramer told borussia.de: "The cup has its own rules. The priority is to advance to the next round. It obviously wasn't an easy game, as Dochtersen/Assel had eleven man parked in front of the net. We didn’t have too many chances, which is reflected in the result. On the other hand, we were always switched on at the back." If you are in the process of assembling your Official Fantasy Bundesliga squad and in need of a midfielder who can not only win defensive battles, but also score the occasional goal and give key assists, Christoph Kramer might just be the man you are looking for.